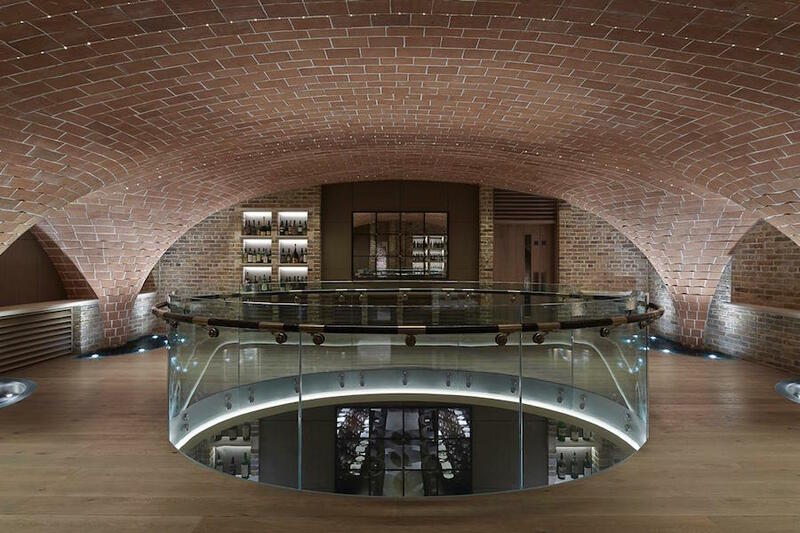 Britain’s oldest wine merchant, Berry Bros. & Rudd, has unveiled its new subterranean Sussex Cellar, an enchanting juxtaposition of classic and modern by Short & Associates and MJP Architects. Wine suppliers to the British royal family since the reign of King George III in the early 19th century, the brand named its new cellar after the duke of Sussex, one of seven royal dukes who were regular customers during that era. 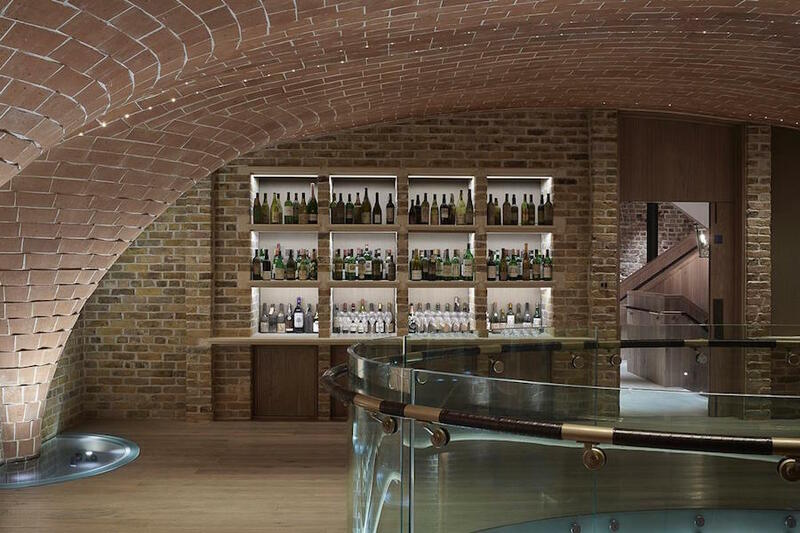 Inspired by a Spanish bodega with a tiled fan vaulted soffit, the two-story cellar is an expanse of terra cotta archways and columns clad in handmade London tiles. These extend through the mezzanine and sub-basement level. 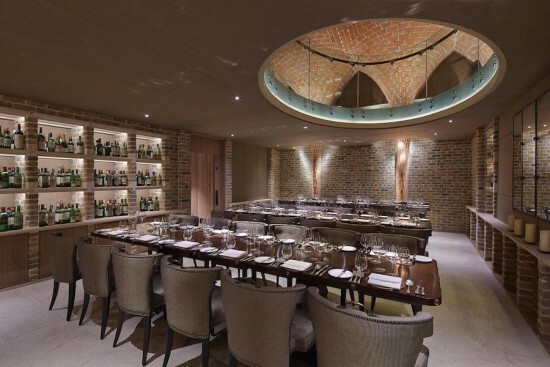 The dining room retains a light and airy feel, despite being underground, by dint of a circular aperture that connects it to the mezzanine above. Over 800 wine events are held annually in the company’s existing Napoleon and Pickering Cellars and its townhouse on Pickering Place. The new cellar was built to accommodate the uptick in demand for the brand’s well-known ‘Cellar Series’ – intimate 40-cover dinners presented in collaboration with London’s most popular restaurants. 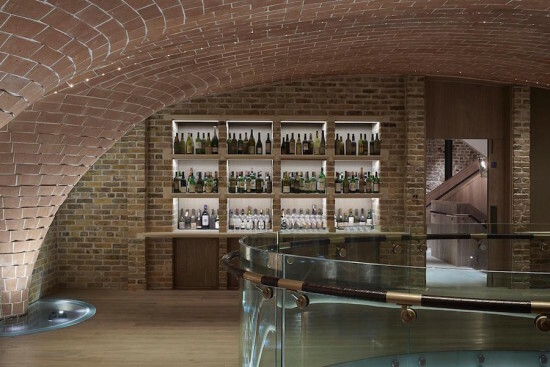 Sited beneath the historic St. Jame’s shop, the cellar is accessible via a secret door in one of Berry Bros. & Rudd’s 17th century townhouses on Pickering Place, with an interior styled by Nicola Crawley of the celebrated decorators Sibyl Colefax & John Fowler. The space accommodates up to 40 for a reception and lunch or dinner, or 36 for a reception, tutored tasting, and lunch or dinner.